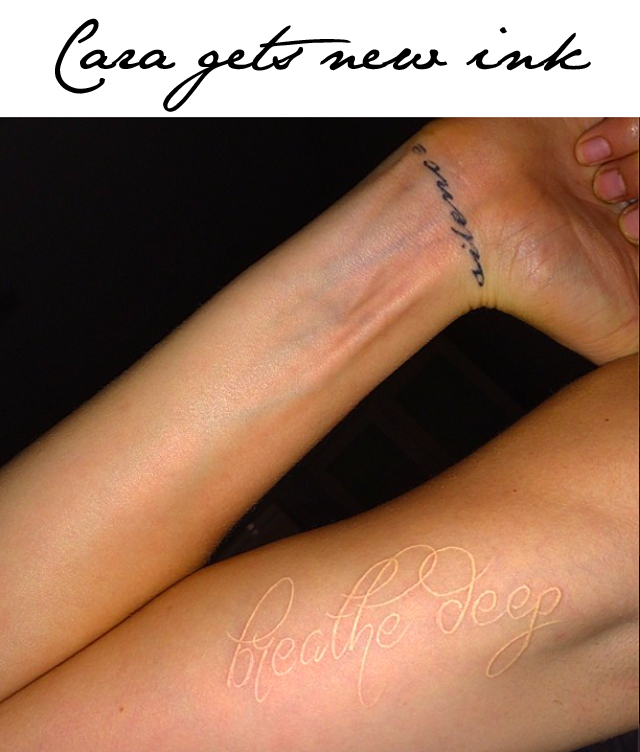 Cara Delevingne reminds us to "breathe deep"
Cara Delevingne took to instagram to share a look at her latest ink - albeit flesh coloured. Seems Cara is taking a moment to make sure she remembers to "breathe deep." Hey, the writing's on the arm, or the tattoo rather. This is certainly not a first tattoo for Miss Delevingne, as you can tell by the picture. Cara has also shared, with her social audience, a snap of her Made in England tattoo on her foot, her Lion tattoo on her finger and her friendship tattoo with Jourdan Dunn. What will Cara get next? I'm sure we'll all known soon enough as she certainly loves to share.